The BAPI Differential Pressure Switch is ideal for air filter monitoring, static pressure proving, airflow proving or auxiliary fan actuation. Because of its UL 353 Limit Control Listing, the switch can be used in safety circuits to protect heating appliances, heating systems, processing systems and HVAC/R systems. The setpoint is field adjustable from 0.1″ to 35″ W.C, and can measure positive pressure, vacuum or true differential pressure. 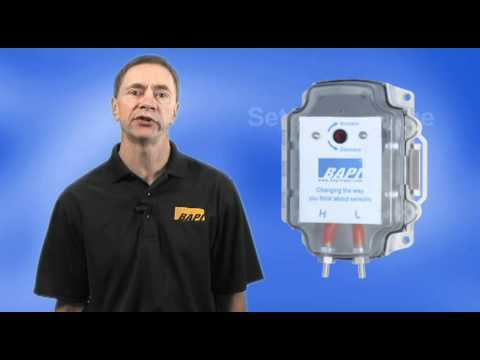 The unit comes in a rugged BAPI-Box enclosure with hinged cover for easy field termination. Easy to Access Field Adjustable Setpoint from 0.1″ to 35″ W.C. Extremely High Proof Pressure of 100″ W.C.
Be the first to review “Differential Pressure Switch” Click here to cancel reply.